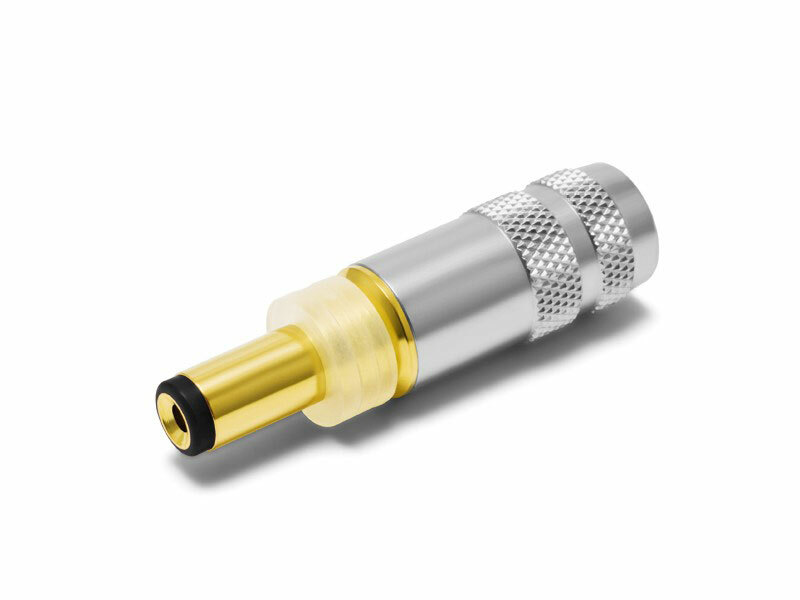 The Oyaide DC 2.1G (2.1 mm) and Oyaide DC 2.5G (2.5 mm), are the highest quality DC cable plugs for audiophile applications. The Oyaide DC-2.1G and DC-2.5G are perfect for making DC umbilicals, and mate especially well with VH Audio's V-Quad Cu21, for arguably the best 18 AWG (aggregate) DC umbilical cable money can buy. 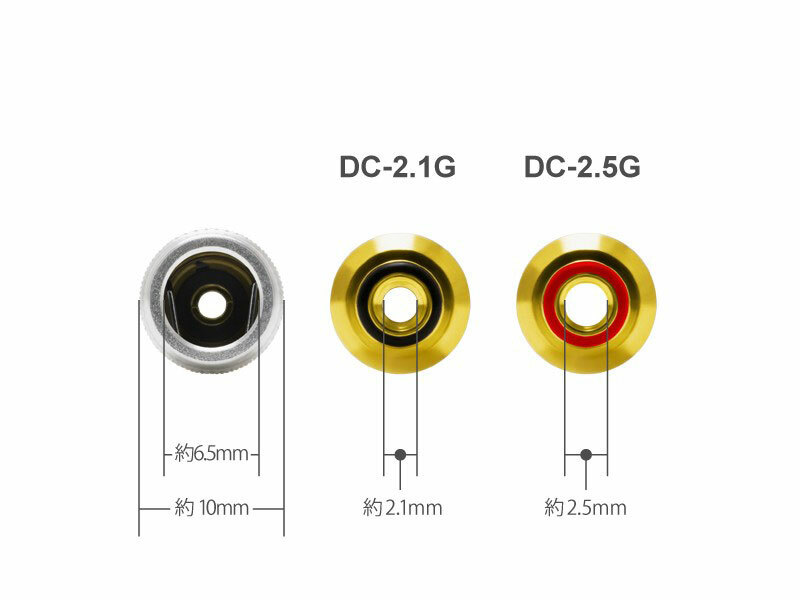 Both the DC 2.1G and DC 2.5G are strongly resistant to vibration with usage of adjustable dampening/spacer rings located at the base of the conductive shaft. Made with high quality brass, corresponding to RoHS directive. Conductive pin is 24K gold plated. Housing is Verichrome plated, for beautiful appearance, as well as durability. A large cable entry diameter of 6.5mm to accommodate larger O/D cable. To accommodate various depths of DC connector female jacks, a silicone ring spacer is attached to the base of the conductive pin's shaft. 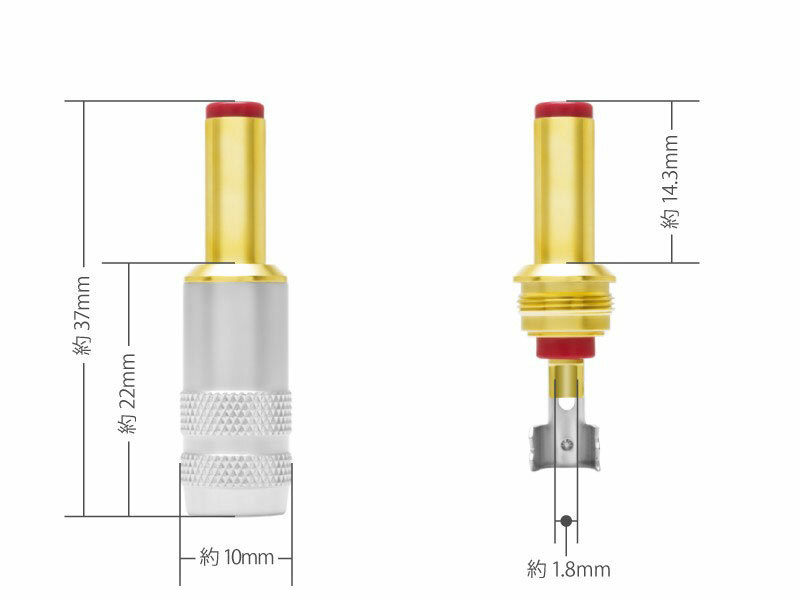 The ring spacers can be varied to adjust the active length of the pin to 4 depths: 9.5 mm, 11 mm, 12.5 mm, and 14 mm. Use for new DC cable construction, or as a DC plug replacement for AC/DC adapters, etc. * Confirm the DC jack polarity of your target device, and terminate conistent with that orientation.